I’ve been a dedicated country music fan since 1996, and a casual fan for a few years prior. I cannot explain what draws me to the genre, it may be the twang, the honesty in the lyrics, or the authenticity of the performers. Actually, it’s all three. I always credit country music for shaping my childhood and being a positive influence on my growing up. It’s funny, where I live people don’t usually talk about country music. I know most people don’t like it and a comment I often hear people say is “don’t overdose on it”. Well, I have overdosed on it and I turned out just fine. I’ve noticed a shift in people’s listening tastes of late. There are people I know who would never have given country music a chance in the past that now love it. Normally, I’d be in an “I told you so” position and be happy that others are now enjoying what I’ve loved for years. But sadly, I can’t. I cannot sit contently with their newfound love of country music because the genre had to change in order to welcome them in. The country music I grew up on in the 90s is nearly dead (I’m listening to Lorrie Morgan’s classic “Something In Red” right now) and a broadened pop-influenced watered down version has taken its place. The genre has gradually gotten worse over the years and far too big for its britches. The simplicity that made country music great is all but gone in favor of creating a sound made to appeal to all listeners and fill football stadiums. Listeners from the pop/rock world love modern country because it has a rock edge to it. The music is very muscular and guitar heavy thanks to the rise of Keith Urban and Brad Paisley. They have created a sound that puts the electric guitar front and center – an instrument that overpowers any traditional elements in their recordings. On the other hand, Jason Aldean seems hell bent on making rock and roll songs about tractors and cowboys. The more amped up the better for him – he’s often screaming to be heard over the way-to-loud production. If you think about it, the growing necessity of performing in stadiums has all but killed traditional country music. That’s why the broader sound is becoming more and more commonplace. The intimate, simplistic country we all grew up on doesn’t work when playing to a crowd of 30,000. To reach everyone, you need to be bigger, louder, and more bombastic. Now, I shouldn’t be complaining. I have the luxury of living near the godsend of all country music stadiums – Gillette, in Foxboro Massachusetts. I just hate what it represents. It’s the country music money pit – if you haven’t headlined a sold out show at Gillette, you haven’t made it. Kenny Chesney is to thank for the shift and he has the awards to prove it. Along with getting too big, the quality of the songs has suffered. Most lack a simple, real connection between the singer and the audience. Songs that speak to the continuousness of America have been pushed aside for gutless filler. I never thought I’d say this, but country music has become too nice – too clean and polished for it’s own good. Everyone seems too afraid to be anything more than generic. A big culprit in all this is the “radio friendly” umbrella that has taken over country radio. To be played, songs have to be quick, bubbly, fun, and listenable to all audiences. What passes as a hit nowadays is nothing short of ear candy. Today’s Country music is also very easily digestible. You sing along because the song is infectious and catchy, but there isn’t any substance to back it up. There isn’t much truly classic being made. Next time you turn on country radio, think about this – will this song still be remembered five months from now let alone five years? I’ve come to understand that everything comes back – the rise of channels like Sirius/XM’s “Prime Country” makes that possible. But seriously, is that song you love right now a classic? And better yet, would you know a classic when you hear it? The dumbing down of country music reached completion in 2010. The saddest reality is the ever-disappearing line between country music and pop music. Obviously, the money and sales lay in the pop side of country, but I’ve noticed something else. Country Music has expanded so much that pop/rock songs like Train’s “Hey, Soul Sister” and Adam Lambert’s “Whatya You Want From Me” aren’t a far cry from what’s being played on country radio right now. Along the same lines, country artists are embracing their pop influences over their country ones. As a result, they’re leaving any resemblance of country in their music in the dust. Where are the fiddle, steel guitar, banjo and mandolin? 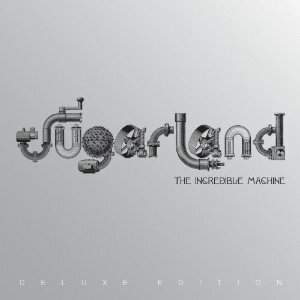 Sugarland seemed proud that they didn’t use any mandolin on their The Incredible Machine album. That blatant dismissal of all things country makes me look at them as outsiders opposed to members of the country music community. Their new direction may be hard to take but their next album will be the real test because they haven’t completely gone off the deep end. Lets hope they pull back and realize their new sound isn’t the right direction for their music. Something hit me earlier this year and caught me dead in my tracks – when was the last time I truly loved a country song? Loved it so much, that I couldn’t get enough? When did a song make me stop what I was doing and listen? Sadly, that hasn’t happened in quite a long time. And even if I do like a song, country radio plays it to death so I loose all love for it anyways. The only two examples that come to mind are Sugarland’s “Keep You” and Joey + Rory’s “My ‘Ol Man.” You can rarely explain why a song hits you just the right way and both those songs accomplish that for me. Now, I have no qualms with pop/country. It is a very viable subset of country music and has been for a long time. Most of the core artists that have shaped country music fall under pop/country. Also, every era has its artists that create generic music. For example, the 90s had their share of cooke cutter “hat acts.” Trends are nothing new and aren’t ever going away. Who will soon forget the Urban Cowboy era? But what’s missing today is the balance. The balance between those looking to expand and those who still play traditional country music. For every Tracy Byrd there was a Patty Loveless to create the music of substance. That isn’t there anymore. Going pop isn’t the problem for me – quality is outweighing production value at this point. A new genre of country has been coming to the forefront in recent years and that’s “trash country.” Trash country are those songs that discard everything country artists have spent the last 110 years building. Songs that aren’t just horrific, they should never have seen the light of day in the first place. I have a big problem when a singer comes in without any regard for the history of country music and think they can get away with recording anything that comes across their plate. They have taken us for fools and fortunately those who actually care about the future of country music can see right through them. That’s why I hate these pop/rock fans coming in and messing with the genre. They don’t care about the history and they embrace the trash country. It’s they who demand country acts play stadiums and dumb down the music to their level. We’re loosing all integrity so teenagers and college students can have music they can party to. Country music was never about being a genre you could party to – it was truth put to music. Where has the truth gone? Another trend I’ve noticed is veteran artists loosing themselves and recording subpar material unworthy of their legacy. I’m not sure why this is happening, but it’s becoming ever more commonplace. I don’t understand what possesses artists to coast in their comfort zones and not doing anything to push the genre forward. Artists like Brad Paisley and Keith Urban has fallen into the trap of recording the same song over and over again. Where is the experimentation? Sticking to a formula is a guaranteed career killer. One such downgrade I can explain – Reba’s. She’s trying (and succeeding) to be a viable entity in the current marketplace. Of course, she’s never done anything that wasn’t hugely successful, so that may have something to do with it. She’s one of the lucky ones, most artists at her age (mid 50s) are thrown out to pasture. But the most baffling of all is Tim McGraw. Where has the singer gone who gave us all those big hits? The guy recording dog dung like “Southern Voice” and “Felt Good On My Lips” is someone I don’t recognize. I want the old Tim McGraw back; he at least put some quality in his music. In light of all this, I wish country radio would develop a standard – they are the problem here. When will it be okay to say they won’t play a song for lack of quality? It is subjective, but there comes a point when a bad song is just a bad song. And I’m sick of all these bad, bad, pieces of trash cluttering up my airwaves. Enough is enough. Someone in Nashville needs to be woken up big time. Luckily, country radio doesn’t tell the whole story. Country music is still a viable and thriving genre. There is plenty of great music being made that isn’t reaching the mainstream. Look at my top nine favorite country albums of the year. I’ve placed some real gems on there. 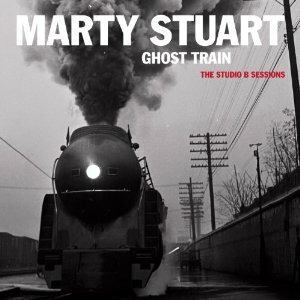 Marty Stuart’s Ghost Train showcases everything great about country music and Jamey Johnson’s The Guitar Song is everything and more. But I really meant every word I said about Speak Now. Taylor Swift isn’t the most country (see, I don’t like everything traditional) but she is writing some of the best country songs around. No matter how you look at it, “Back To December” is a country song – it’s her truth. She’s lived everything she’s singing about – she really did get roses and leave them to die. When a singer (like Taylor and Jamey) sings their truth, an authenticity is reached. Just because Jamey’s truth is grittier than Taylor’s doesn’t mean anything – both are they’re truths. Which is why, and I have to point this out, I have such a problem with Darius Rucker. He is a great singer but he lacks any authenticity. On his Backstory special for GAC, he says something about only recording great songs because it’s only fair to country radio. Well, show me a great song! If anyone epitomizes the dumbing down of country music it’s him. A lot has been said about his throwing away of the country shuffles he was going to record in favor of “Come Back Song” and “This.” I understand his desire for success and his need to create revenue for Capitol Records, but he’s completely lost himself. If anyone is a puppet to modern country it’s him. His music is the worst of the worst because I know he can be so much better. Or at least, I want to believe he can. The bottom line here is country music needs an artist to come in and clean house – someone who can turn the genre around. Randy Travis was that guy in 1986, so who will it be today? We need someone not afraid to speak their mind and tell their reality (no matter how gritty) in song. But, this artist has to break through at radio as well. If they cannot sustain a radio career, the place that needs the most shaking up, than there isn’t any hope. I miss the likes of Johnny Cash and Waylon Jennings. Thank goodness we have Miranda Lambert, she’s that flicker of hope. Her “The House That Built Me” is the most important country song of recent memory. It speaks to everything great about the history of the genre. Let’s all pray there’s hope on the horizon in 2011. I honestly don’t see country music going anywhere but downhill, but I’m not giving up on the music I’ve loved for over fifteen years. I may not enjoy the path it’s currently taking but giving up isn’t an option. It’s like the stock market – what goes down must eventually go back up – if you think about it, how much lower can it go? Nine. Nine! That’s all I could come up with for my favorite albums of the year. Any more and I would be lying, just to fill up a list. In fact, I don’t have a single album where I love every song from this year and that’s a first. 2010 was a singles year over a year of outstanding albums. Below is my list, the nine country albums I feel are of highest quality in 2010. Let us all hope that 2011 brings some masterful albums. It looks like new music is on the way from Alison Krauss, Brad Paisley, and Lori McKenna while Carrie Underwood should have album #4 ready by years end. And maybe, just maybe, that long awaited new release from Faith Hill will see the light of day. Anyway, here is my list. My #2 surprised even me, but when another blog listed “I Put My Ring Back On” as one of the best singles of 2010, I gave the album another listen and fell in love with it all over again. Now, unlike with the singles, there will not be a worst albums of the year list. At some point, year end countdown lists are overkill. I do have one more post regarding country music in 2010, and that’s my year-end assessment. That’ll be ready in a few days time. Until then check out these nine albums. You won’t be disappointed. While nothing in the legion of O, Brother, Heart is T-Bone Barnett’s showcase for classic country music. 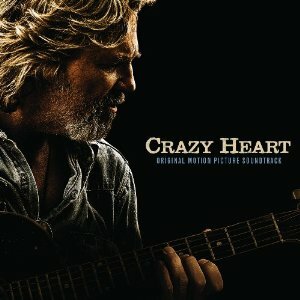 Well-chosen songs from the likes of Waylon Jennings, Kitty Wells, and George Jones sit comfortably next to originals from Jeff Bridges and Ryan Bingham. It isn’t flashy nor upbeat but it does its job of creating a backdrop for the movie. If you’re only going to spend your money on one film soundtrack this year, let it be this one – you won’t find a better collection of songs anywhere on the big screen. Stuart’s mission in recording Ghost Train was to create a traditional country album like those from the golden age of the genre. After assisting the late Porter Wagoner and Kathy Mattea with their latest efforts, he returns with a collection of songs unlike anything being turned out in 2010 Nashville. His mission has been accomplished; these songs are everything a purist is dreaming of – an argument against the death of traditional country music. It isn’t flashy nor will it spawn a hit single, but it still an important album none the less. Plus, anytime Connie Smith puts her voice to record (the duet “I Run To You”), is a cause for celebration (and a Grammy nomination). When I was reviewing the top albums of the decade last December I commented saying, “following this (Love On The Inside), will be no easy feat.” While this isn’t quite what I had in mind, it does have its modest charms. I like this album more than most. Lead singer Jennifer Nettles adds a cutesy quality to many of the tacks including “Every Girl Like Me,” a song that just makes you feel good when you listen to it. Lead single “Stuck Like Glue,” is an infectious dose of pop confection while “Little Miss” is down home country at its best. The gospel closer, “Shine The Light” showcases all of Jennifer Nettles’ gifts and “Wide Open” perfectly captures the energy of a live Sugarland show. The rest of this album is very much a miss but the great moments more than out way the bad. This is an album worthy of the listener forming his or her own opinion and taking the critical reception with a grain of salt. 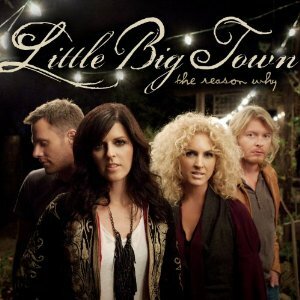 In a year that saw Lady Antebellum soar to new heights and Zac Brown Band cement themselves as a band to watch, Little Big Town had a lot riding on their fourth album. Could they come back strong and, maybe, get their piece of the action? For the most part, the answer is yes. While they’ve done far better in the past, The Reason Why has shining moments that put them ahead of their closest competitors. Songs like “The Reason Why,” “Shut Up Train,” and “Why Oh Why” show why they are the best harmonizing group around. When she’s singing lead, singer Karen Fairchild cannot be beaten – she’s a far better (and much more underrated) singer than either Hillary Scott or Zac Brown. She has an earthy quality to her voice that elevates anything she is singing. For the men, Phillip Sweet is king. His vocal on “Kiss Goodbye,” the best ballad of their career to date, is a revelation and showcases the other somewhat hidden asset of the group. They deserve to be huge and with material this carefully constructed they are well on their way. It isn’t perfect, but it beats those getting far more attention. This second set of songs proves that The Foundation was just that – a foundation to a long career in country music. While they’re not charting any new ground here, Zac and the boys are doing what they do best, which is coupling classic country sensibilities with a modern edge. Songs like “As She’s Walking Away” and “Colder Weather” are some of the freshest, if not the best songs, being played on country radio. 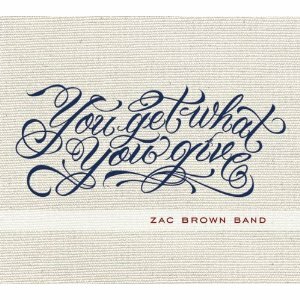 While this isn’t a masterpiece, You Get What You Give is a solid collection of mainstream country that lives up to all the hype. In an era marked by infectious ear candy and singles over albums, who would have the guts to release a 25 song double album filled with traditional country – a seemingly dying medium? Only Johnson, who has defied all expectation and won. Song is 2010’s musical tour-de-force – the only gutsy country album of the year. 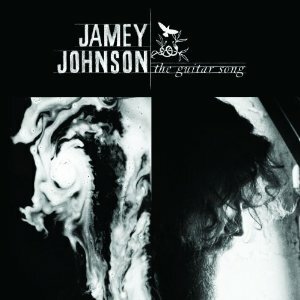 Johnson infuses each tune with his signature wit and angst and proves he can let loose and brood with the best of them. He speaks the truth better than anyone and you know he’s lived each lyric he sings. That’s the mark of a true country singer – someone not afraid to spill his or her life in song, no matter how gritty. Song is Johnson’s reality and what a dark place that can be. If you only take one musical journey this year, let it be this one – nothing is more fulfilling or satisfying. The more I listen to Taylor’s new record the more I peel away the layers of complication hidden inside most of the songs. This is not just a great record – it’s outstanding. Her growing maturity is showcased on each of this album’s fourteen tracks and the romantic entanglements are deeper and more complex. If Fearless brought fourth her playful side than Speak Now is her lament – the chance to write the wrongs of love and put people firmly in their place. Swift is best when she’s screaming out (“Dear John,” “Innocent”) at those who caused her pain but she isn’t afraid to admit when her own emotions got in the way (“Back To December”). But the truly remarkable thing about Swift is, for the first time, she’s attacking her shortcomings and thoroughly enjoying the last laugh. With “Mean” she lashes out at her critics – including those who pounced on her Grammy Performance with Stevie Nicks – and wins. She’s bold, says what’s on her mind, and leaves nothing (and no one) unscathed. By writing each song solo she also proves she doesn’t need the help of co-writers to bring her songs to life. Just give Swift pen and paper – and room to create. She may not be the most country but it doesn’t matter; when music is this good (and important) the barriers of genre deserve to be torn down. After a three-year recording hiatus and an embolism that nearly cost Carpenter her life, she’s back with her best collection of songs since Stones In The Road. 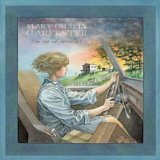 To listen to Carpenter these days is to listen to an artist mellowed by time and the perils of existence. She barely emotes above a whisper on many of this album’s tracks and has created a project that showcases everything that makes her stand legions above the pack. Her best songs are when she lets loose (“I Put My Ring Back On,” “The Way I Feel”) but the quieter moments, requiring a deeper listen, are what makes this album shine. With The Age of Miracles Carpenter has reached a new platform in her storied recording career. Ever the teacher she’s schooling those half her age in the art of introspective songwriting and analytical lyrics. Carpenter’s is a rich, satisfying record that proves you don’t need much to pack a powerful punch. The boldest country album of 2010 comes from one of the genre’s slickest hit makers. It’s also the year’s best because, like Bentley, it isn’t afraid to stand out and be different. While leaning on his Bluegrass roots, Bentley has made his first statement album and left the radio-friendly crap (“Sideways”) that propelled him to the top, in the dust. He isn’t afraid to go the other way and stay firmly within the country genre. With Ridge Bentley has made a complete album worthy of all its praise. By surrounding himself with expert pickers and acoustic protégés he’s assembled an excellent collection of songs that more than prove his worth. 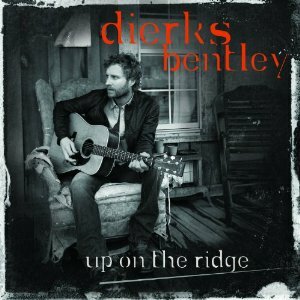 Unlike the Dixie Chicks’ similarly styled Home, Ridge was largely ignored by country radio – a fact that’ll likely limit Bentley from further experimentation in the near future. As cruel as that may sound I’m enjoying his return to glory while it lasts. Let’s hope it marks the beginning of wonderful music to come from this modern day drifter. We check in with Woody and the gang ten years later and find much has changed – Andy is leaving for his Freshman Year of college and the toys sit in a toy chest dying to be played with. When he’s faced with the decision of what to do with his childhood friends, he chooses to lock them in the attic but they are taken to a daycare center instead. fiercely loyal to Andy they fight their way back before he takes off – and bring forth the saddest ending to a movie in years. 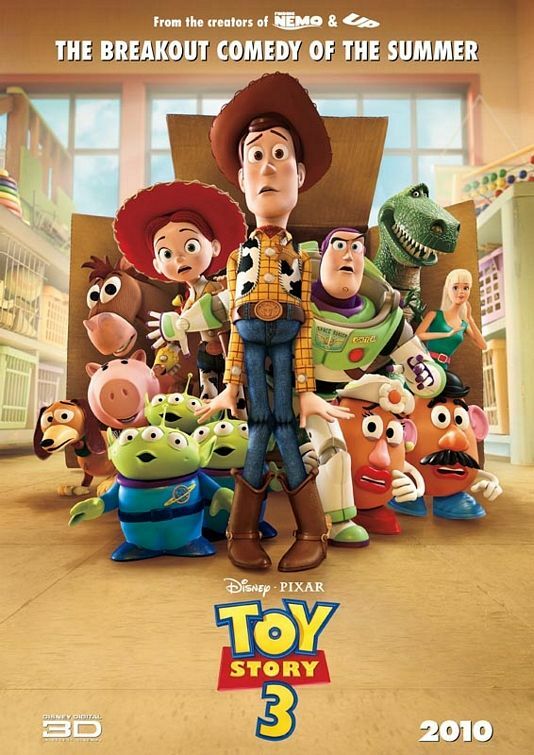 Toy Story 3 is another incredible film in the Pixar lineage and a worthy addition to the franchise. Universal themes of loyalty and imprisonment are explored as is the idea of what it means to be a friend and knowing when to let someone go. Michael Arndt keeps the script short and to the point but takes the film farther than I would’ve liked to see it go. Towards the climax, the toys face perils I found unnecessary and far too scary for small children. It could’ve been just as effective a tear jerker without those threats to their lives. Of course, like any great Pixar film it engages the audience and makes us think (and see) those commonalities in life from a different perspective. 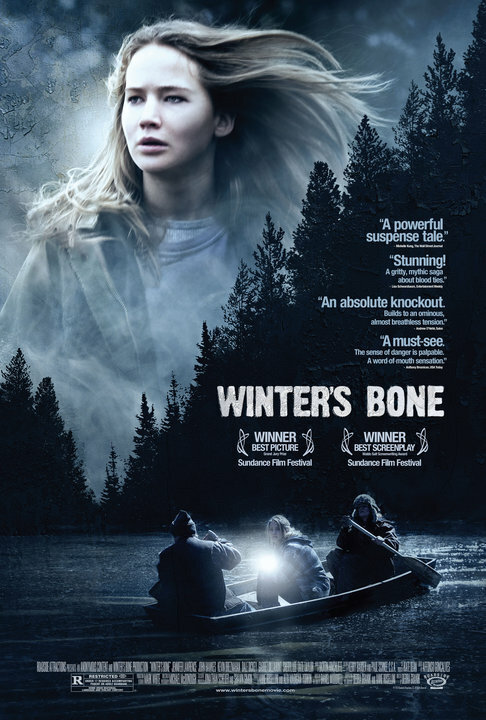 Critically praised for Jennifer Lawrence’s breakout performance, Bone is the story of a girl forced to grow up much too fast in a climate unsuitable for children. Ree, a 17 year old girl forced to care for her younger siblings and her incapacitated mother, is unflinching even as she is forced to search for her absentee meth cooker father. This is a character study in fearlessness and resiliency and teaches us all to be grateful for what we have. Jennifer Lawrence is indeed transcending and adds just enough toughness to pull off the role. She isn’t a seasoned Hollywood professional roughed up to pull off the part – you feel she’s lived these horrible circumstances since she started breathing. I found the story a bit barren – I thought she would have to go further in her search than she did (i.e. run away from home) and I kept waiting to meet the man who ruined everything but alas he turned up dead. The real praise shouldn’t go to Jennifer but to the children who played her younger siblings – apparently they weren’t actors but the real-life inhabitants of the house Ree called home. Their performances were so subtle and made the film so real you would’ve thought they’d been acting their whole lives. The gritty reality of bank robbers in Charlestown, Massachusetts is the subject of Hollywood’s latest film about beantown. Doug (Ben Affleck) and Jem (Jeremy Renner) are childhood friends who pull off elaborate schemes while evading the FBI. After a hugely successful bank robbery, Doug becomes romantically linked with Claire (Rebecca Hall) the bank’s manager whom the gang took hostage. Once Claire learns the truth about Doug, she works with an FBI agent (Jon Hamm) to bring him down. With countless gritty films about Boston in the last decade – Town doesn’t cover any new ground. We have the same lifelong potty-mouthed friends and a cast of Hollywood actors (except for Affleck who was born in Boston) trying Boston accents on for size. There was nothing mind blowing nor revolutionary about the plot or the performances. You feel like you’ve seen it before because you have. The one bright spot, though, is Rebecca Hall. 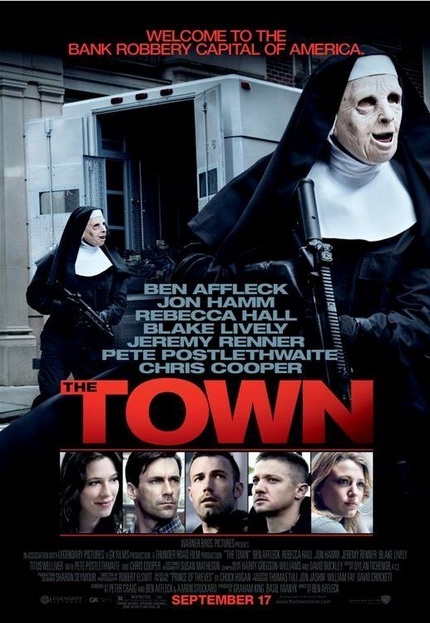 With Town she cements herself as an actor to watch. After turning in great yet under the radar performances in Vicki, Christina Barcelona and Please Give she proves her worth as a Hollywood leading lady. Gentle yet tough she can play the romantic love interest while proving she is so much more than a pretty girlfriend. If she plays her cards right she could be huge in the years to come. Black Sawn is as close to perfect as any film this year. An epic tale about a ballerina torturing herself to play the sawn queen in Swan Lake, it grabs a hold of you and doesn’t let go. Natalie Portman is mesmerizing as Nina Sayers – the woman taking on the duel role. She’ll do whatever it takes to achieve perfection even if she destroys herself in the process. Swan is the character study the film world has been waiting for. 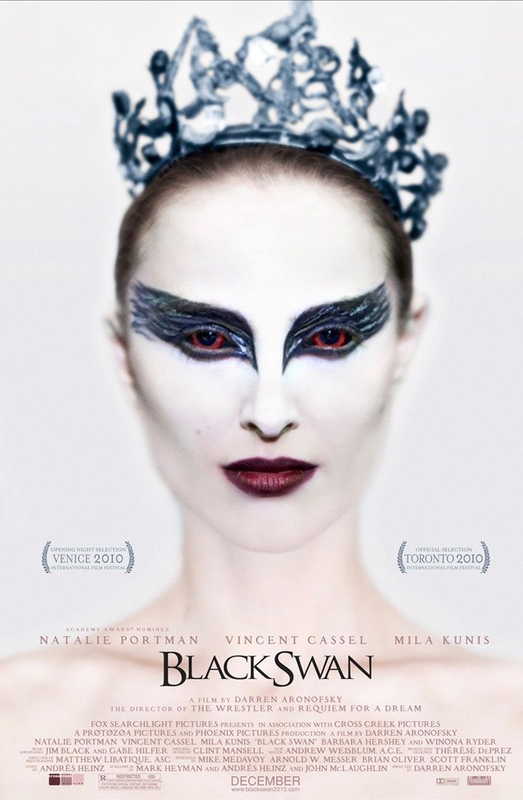 Portman is so fully committed to the role that she blurs the line between acting and metamorphoses. She becomes Nina so completely, with seemingly little effort, that you’re drawn into her. When she mutilates herself you feel the pain right along with her. Not in recent memory has a performance become so much of a film that the plot barely matters. Portman more than makes up for the shortcomings in the storyline – screenwriters Mark Heyman, Andres Heinz, and John McLaughlin take the film too far out of the realistic and into the abstract. A sequence in which Nina takes her obsession with fellow dancer Lily (Mila Kunis, in a star making turn) into a wild sexual fantasy is a bit over the top and could’ve been done without. Yet the screenwriters brilliantly take the viewer on a journey through Nina’s psyche and show us a woman tortured into the depths of mental illness. We see the world as she views it – her reality is our own. The Academy would be making a bold step by giving Portman the Oscar but what a richly deserved prize it would be. Her performance left me in a trance – I’ve never come away from a film loving the lead actor as much as I do here – words cannot describe my feelings towards Portman in this role. She may have been a great actress before, but with Swan, she proves she’s worthy of Hollywood icon status. Here it is. My list of the worst country songs for 2010. I am fully aware that “Hillbilly Bone” was released to radio back in October 2009 but it impacted this year more than it did last year. All these songs aren’t just marginally bad, they represent some of the worst country music ever created. Most of the acts are artists who have stopped caring about finding quality material to record and have settled for mediocre trash riddled with clichés. Each song below helped to make 2010 live in country music infamy. Sit back and enjoy the best of the worst, the truly abominable crap that stunk up the airwaves over the last twelve months. Adkins has one of country music’s most powerful voices yet he never uses it to any effect. His last good song, “Till The Last Shot’s Fired,” wasn’t even released as a single. “Love Song” proves Adkins doesn’t care anymore and will record just about anything. What a waste of a good talent. Billy Currington is pretty good at many things besides drinking beer. He knows how country boys roll and how to give good directions. He enjoys parties for two (and with Shania Twain who wouldn’t?) and he’s got a feeling that he and his girl must be doing somethin’ right. Problem is, who really cares? He sure knows the hit-making formula (he’s had three straight number one hits) but he wouldn’t know a truly great song if it nipped him in the behind. Plus, he’s far from an outstanding vocalist. He showed the world promise with the outstanding “People Are Crazy” but has nose-dived ever since. In the case of Billy Currington, quantity far exceeds quality. Honestly, I don’t get it. Halos and Wings are two of the oddest objects to sing about in a song. I cannot take this song seriously nor do I understand its meaning. While “Keep On Lovin’ You” was the start of something promising, “Just By Being You” proves their inconsistency. To make it big at radio and to connect with fans, each song has to be great. This one is a bombastic mess. The country music world needs another novelty song from Paisley as much as the Gulf Coast need more oil. It’s as if Paisley isn’t even trying anymore; he’s sucked the freshness, and originality, right out of his act. With its nod to wet tee-shirt contests and spring break shenanigans, “Water” is the worst of Paisley’s not-so-serious ditties. Why would a duo born to sing classic country music waste their time on a song like this? It’s great they want to salute everyone and their mother and I applaud the sentiment, but there really is no point. “This Song’s For You” only underscores the problem with Joey + Rory and country radio – this is not hit material and if they release any more songs in this vain, they will quickly fade into obviation. Songs about songs rarely ever work, anyways. Get your act together, guys. There isn’t any doubt that Rucker belongs in country music. Problem is, he’s pandering to the mainstream country audience and radio. To call “Come Back Song” bad is an understatement. It’s a piece of fluff where something of substance was needed. He’s shown before he’s capable of great songs, so why would he waste his time with something like this? I’ve called this song many things – bombastic, a Charles Kelley solo number gone wrong – but it really is worse than the sum of its parts. It grates on you the more you hear it and never fully explains itself. What does this song really mean? Thank goodness they didn’t write this one. “Yet” is what happens when an artist records any song that comes their way just to have a single at radio. His time would’ve been better spent extending his absence from the road to the radio airwaves and relaunching his career with the far superior “Boys of Fall.” In a career filled with many terrible singles, this is the worst yet, even if it’s the most aptly titled. By the time an artist begins releasing singles like “Lips,” they either have lost all motivation for greatness in their career or they are being very badly advised. A forgettable mess, this is the worst single of McGraw’s long career. Let’s hope he can turn things around mighty quickly. I don’t care if you’re considered “The King” or if you’re in the Country Music Hall of Fame. There is no excuse for Strait to record or release such a bland and vanilla song. He does justice to no one when he mails it in, and instead of being a teacher to all the newcomers about the power of great country music; he succumbs to the pressure to stay relevant. Thankfully it’s just one misstep in a sea of great recent singles, a world in which George Strait stops trying is a very sad day for country music. With the line, “I like your lips like I like my Coca-Cola yah,” “Heart” takes its place in country music infamy. Neither original nor clever, it’s the worst debut single this year. And this from the same band responsible for “If I Die Young.” Consistency is not their strong suit. When an artist of Keith’s stature progresses to horse manure like this forgettable flop, the chances of a career revival are slim to none. A clichéd mess, “Dog” represents the worst of country music in 2010, lazy songwriting and an awful hook. The record exec or execs responsible for letting this see the light of day should be out of a job. Packaged around a semi-traditional arraignment, “Daughter” is yet another ode to life on a farm. This time it’s the romantic entanglements between a hired hand and his boss’s little girl. With a feeling of been-there-done-that, Atkins isn’t charting any new ground here, and surprise, radio is eating it up. It’s time to grow up and move on. How on earth could one of the best singer/songwriters write a song this bad? More importantly, how could her label (Valory Music Co) allow its release? Whoever is advising Jewel on her career needs to be fired. Of course it is fitting that her worst song would be associated with one of the worst romantic comedies (Valentine’s Day) ever made. Her magic lays with songs like “The Shape Of You,” the gorgeous ballad she debuted on the Primetime Emmy telecast in August (Video is below). That song should’ve been the single. Get your act together, Jewel. Any song rhyming “city” with “Twitty,” in the first half of the first verse, needs serious help. A waste of two very formidable talents, Shelton and Adkins are worthy of so much more. To think that this is the song that finally gave Shelton the artistic credibility he deserves isn’t just shameful; it’s downright cringe worthy. Easily the most grotesquely despicable piece of drivel in Wilson’s singles catalog to date, “Here” marks an artist screaming for an identity and failing miserably. With all hope of artistic integrity lost, Wilson deserves her place in the scrap heap of desperate has bins. Another in a long line of amped up travesties for Aldean, “Town” is nothing more than an abysmal attempt at rock, an overproduced arena thumper gone haywire. He may actually have something worthwhile to say, but the message is lost in a sea of noise. This is bad, even for Aldean, but it’s a new low for country music. 2010 saw the release of many truly wonderful additions to the country music songbook. Below are fourteen I’m selecting as my favorites for the year. Each has a little something hat helped it to stand out and even garner some radio airplay along the way. Of course, and we all should remember, radio only tells a tiny piece of the story. In my upcoming post regarding the worst songs of the year, you’ll see some of the year’s biggest hits. While most of my selections do trend toward the mainstream culture, its not to say there weren’t some fantastic independent releases worthy of attention. There are my fourteen favorite country songs for 2010 ranked in descending order. I’m starting with the praise first this year. Its counterpart (the worst country songs of 2010) is scathing and leaves no stone unturned. Enjoy the best of the good and consider yourself forewarned about what’s to come. Easily the most infectious single of the year, Jennifer Nettles and Kristian Bush have created the best non-country, country single ever. Unmistakable in it’s charms, and controversial in its bridge, you’ll be singing along well after this tune finishes its run at radio. Strait has always scored when singing about the relationship between fathers and sons (“Love Without End, Amen,” “The Best Day”), and this gem from Twang is no exception. One of his best vocals in recent memory, Strait gives what a lesser singer could only pull off as preachy. He’s back in the male vocalist race with this one. An elegant apology to a mishandled love affair, “December” is Swift’s shining moment, her fully developed artistic statement, and a sign of her developing maturity. A step in the right direction, Swift proves she is far more than a teenybopper. Hands down, the best duet of the year finds Bentley singing about temptation in the same tradition as “Long Black Train.” Brining Lambert and Johnson along for the ride was a smart move – they add the richness that takes this song to the next level. If only it were released a single and radio would play it. The first chapter in Brown’s guide of how to pick up women, “Away” finds him warning men against falling for women as they walk out of their lives in a bar. A song about taking chances and seizing opportunities, it accomplishes the impossible task of making Alan Jackson cool again. “Map” is the sad truth about country radio – it’s the best single released this year they didn’t play. An acoustic gem, Bentley is finally coming into his own and the results are gorgeous. This is the kind of song Bentley was born to sing and almost puts the memory of “Sideways” out of sight and mind. One of the harshest songs released this year; “Son” chronicles a father’s bigotry toward his gay child. It’s also the best Dixie Chicks song that doesn’t feature Natalie Maines. “Don’t expect to get my love for free,” the father tells his little boy with all the hurt and anger he can muster. At least he warns the ladies (“Forget it girls, there ain’t no use in trying”) they have no chance. A cool, laid-back, ode to the simple joys of summertime, Corbin scored his second consecutive chart topper while reminding everyone how to sing country music. It may be forgotten in the years to come, but it shined through loud and clear amidst a sea of slick pop. No matter how bad your current situation may be, it isn’t anything compared to events of your past. Loosing your wife after fifty years of marriage and your father when you were eight is far worse than loosing your home to a tornado. Great country songs strike a nerve and hit you where it hurts. The best country songs hit that nerve but also stop you dead in your tracks and make you think about your life. “This Ain’t Nothin’” ranks among the best. He’s begging for another chance but she’s done with his unchanging ways. Country music at its emotional best, “Weather” is the rare delight that knocks you upside the head and throws you for a loop. It’s also the best song Zac Brown has ever written and their career record. An ode to finding yourself within the walls of your childhood home, Lambert’s walk down memory lane is an instant classic. I just wish she had written it herself. In 2010, “Young” cements itself as the best country song regarding mortality since “Whiskey Lullaby” seven years ago. An instruction manual of sorts; lead singer Kimberly Perry tells of how she’d wish to be sent off to the next life if she should have to leave the world a young woman – buried wearing satin in a bed of roses to the words of a love song. After all, it’s when you’re dead that people start listening. Magic. Like the rest of the world, I was deeply saddened to hear of the passing of Elizabeth Edwards yesterday. I knew the day would come, but wasn’t prepared at all. The news hit me like a wave – another gifted soul lost to a horrible disease – A mother who won’t be able to see her children into adulthood and a women who had to deal with unimaginable sadness and loss yet never let pain dictate her life. I first became aware of Mrs. Edwards when her husband John ran for the presidency in 2004. Life seemed simple back then, they were known as the couple who celebrated their wedding anniversaries at Wendy’s. I could tell they had a deep love for each other (or at least bought into the media’s idea of their marriage) and were a special couple. I remember being in my dorm room at college glued to the television, March 22, 2007, watching the press conference announcing her cancer had returned. At the time I was caught up in the breaking news of it all but I couldn’t believe it was happening again. I never could have imagined the press conference marked the beginning of the end. 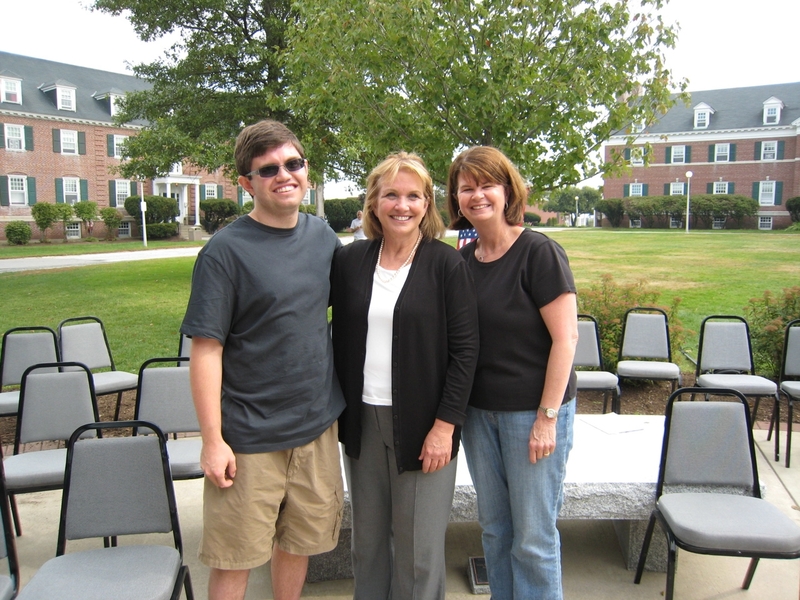 Later that year I had the pleasure of meeting Mrs. Edwards when she came to Colby-Sawyer to stump for John. I remember it was a beautiful Saturday early in September. I made my mom come up because I knew this was an event not to be missed. We had been following her on TV for the past few years and I was excited to see her in person. I vividly remember how sunny it was that day and thinking, wow, why isn’t she wearing sunglasses? I know I would never have been able to stand in the sun that long without them. But the truly remarkable thing was her kind spirit. At the end of the event, we were waiting in line to have our picture taken with her and our camera died just before we could get the photo. Being the amazing person she will forever be, Mrs. Edwards made sure one of her field producers got the picture before she left. She cared about each and every person there and even though we didn’t know her personally, she made sure we got the photo. That’s what I will always remember when I think of her. I was looking at that photo this morning on my computer and thinking about how happy I am to have that moment as a memory in my life. Getting to meet her was a tiny moment in my college career but one that now shines equally as bright as everything else that defined my life those last four years. When I look back on that visit to Colby-Sawyer, I think about what it must’ve taken for her to make all those public appearances after knowing the truth about John’s relationship with his videographer. To be able to put that all aside and support him in his bid for the presidency, took an unbelievable amount of courage and grace. In fact, Mrs. Edwards deserves praise for how she handled herself amidst that whole mess. How a woman battling terminal cancer can add a stress of that magnitude to her life and still hold herself with dignity is truly remarkable. She faced so much sorrow in her life and never let it affect her negatively. I wish I could be half as strong when face battles in my own life as she was with hers. What I’ve come to learn throughout my life is the cancer seems to effect some of the nicest most kind people ever put on the plant. I find those who deserve it least get hit the hardest. I know so many good people who were struck down in their prime from this awful disease. But what I believe is that in every death there is a lesson to be learned for each of us fortunate enough to still have life. We are put on earth with the purpose of growing into ourselves and learning just what the limit is to what we can handle. In that regard, Mrs. Edwards was the ultimate warrior, fighting for her spot in life. So, what does Mrs. Edwards, mean to me? When I reflect on these past six years of seeing her make countless television appearances promoting her books or talking about the end of her long marriage, I don’t see the hurt or the pain. When I look back, I see a woman, who until she took her last breath, held herself with the highest integrity. She had a strong will to live when others would’ve thrown in the towel. Mrs. Edwards, is a beacon, a symbol of not letting go or giving up until the bitter end. She, like so many others who succumbed to cancer, will be remembered for their battle to rid their bodies of the awful disease that would take their lives. But I will remember the compassionate soul who wouldn’t let me go without getting that photograph; the woman who cared about everyone she came in contact with no matter for how long – the reluctant celebrity who wouldn’t be around that long yet we felt we knew forever. The film 127 Hours chronicles the true story of Aron Ralston, a hiker whose arm got pinned beneath a boulder for just over five days in April 2003. He was hiking in Blue John Canyon in Utah when he fell and his armed got crushed. He fell deep into a tiny crevice where no one could see him or hear his screams for help. To make matters worse, he told no one where he was going. The film brilliantly brings Ralston’s story to life while faced with a seemingly impossible task: how do you tell a story that will interest an audience when it revolves around a single character being alone on screen for well over 85 percent of the film? Superstar director Danny Boyle (“Slumdog Millionaire”) infuses the film with little touches that help complete this task. He let’s the audience into Ralston’s soul and puts us on the journey right with him. The unique camera angles allow us to experience Ralston’s every pain – instead of us seeing him run out of water, we get his lips cupping the bottle, sucking out every last drop. Every time he turns on his video camera, Boyle focuses on the gears turning within the device as it comes to life. And as the film progresses, Boyle fixates on the camera’s dwindling battery as it goes lower and lower, like Ralston, running out of time. 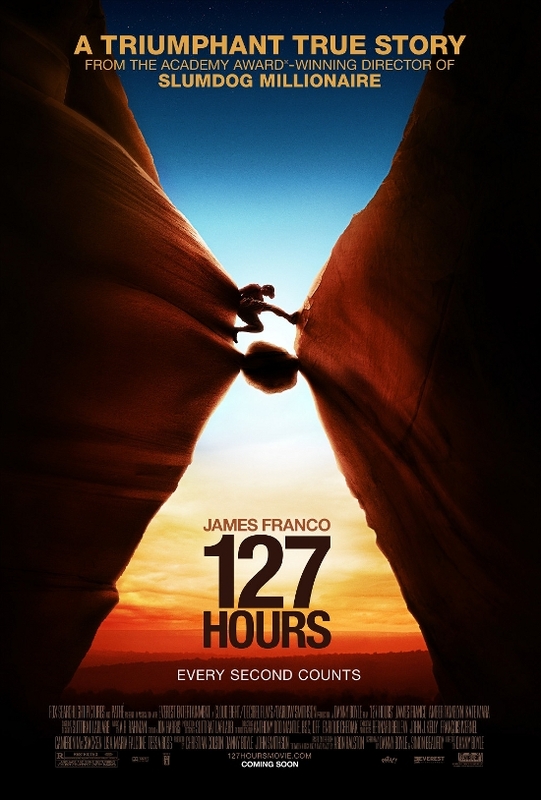 It wasn’t evident to me before seeing 127 Hours, but Danny Boyle is a master filmmaker. His unique approach took an otherwise very simple story and made it jump off the big screen and become a part of the audience. There were points in the film I was almost crying; jerking around in my seat uncomfortably because Boyle makes you feel. He makes you care and invests you in Ralston’s story. Boyle adds that all important human element that makes Ralston a person and not just some guy stuck between a rock and a hard place. But what really makes 127 Hours so powerful, are the life lessons woven throughout the story. When most people would’ve given up, Ralston had an unnatural will to survive that conquered even his deepest pain. This film is a study of just how tough we are and what we can endure before we finally break down and surrender. He was able to see a life beyond the rock that cost him his arm which made him want to live. We humans are tougher than we realize and the main lesson here is not to give up – even when life puts in situations that seem impossible to get out of. 127 Hours isn’t just another popcorn flick – it’s a brilliantly executed look at human spirit and the Aron Ralston inside all of us – that person we become in life’s toughest moments.